​DeWITT COUNTY - Cuero ISD students will soon have access to one of the most technically advanced performing art centers in the state of Texas. 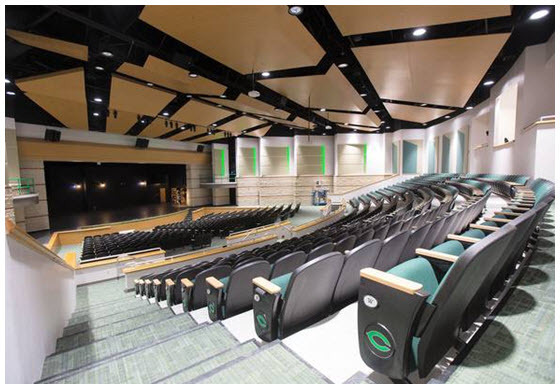 The 24,800-sf Cuero ISD Performing Arts Center will open Sept. 29 and give fine art programs a place to call their own. The $7.5 million center gives students interested in technical theater access to top of the line sound and lighting systems. Before the center's construction, junior high and high school bands didn't have a place to practice in Cuero that gave them the same sound feedback as contest facilities, which made it difficult to prepare for competitions.